We have just began a very powerful month for those who desire to create a profound change in their lives. As change always begins by experiencing a mental transformation, the frequencies from this New Moon at 15 degrees Aquarius, are going to assist many who are working on breaking free from old chains/limited beliefs that sometimes are hidden to our conscious mind and that are the ones that cause us to delay the natural process of self-evolution. This New Moon comes at a time when we are still surrounded by the energies from the eclipse in Leo in January 20/21. This is a cosmic gift for us to work on clearing karmic records. For others who have already done this inner work, it is a passage for them to work on their devotion to group consciousness, in their unique way. However, to be able to fully step into one's mission by holding clarity and the strength to cope with all the challenges that may arise, in our human journey, first, we need to dissolve the old energy that is still present within and therefore in our present human experiences. At a cosmic level, we have the Sun, the Moon and Mercury in Aquarius sextile Jupiter. As you know Aquarius is a fixed sign that even if it belongs to the element Air, it is represented by the Water Bearer, as a reminder for us to freely flow and adapt to all conditions, as water does. Water represents the emotions we have within as well as the ideas we hold in our mental plane and that most of the time are fixed and linear and limit ourselves in experiencing our true potential. This sign is giving us the message of releasing old wounds and emotions - returning to our natural state of constant change, and bliss with All. This is an opportunity for us to work with our fixed mental patterns as well as with communication in both with ourselves, as it is the most important of all, others and with the Illumined Realms. As we have Mercury in Aquarius too sextile Jupiter, is going to be a very good essence for us to clear our minds, so we can obtain guidance about ourselves and/or a certain situation - making decisions from a clear and loving space. There is another gift from the cosmos at this time, as we have Saturn sextile Neptune. Saturn is all about making things tangible and take responsibility for ourselves and earthly lives, as it sextile Neptune, it is all about descending from the ethereal all of our dreams, goals and soul visions, into our physical plane, for it is there where we need to build stability. This is a very important event for those who have finally recognized their inner abilities, or are working on it, and obtain the guidance required for them to step out of their protective bubble and share who they are, in new ways, especially for those who have been on this journey for a while, it could mean the creation of a total different way of being of service. Saturn is ruled by Capricorn, and in a year where we are going to be governed by Capricorn's essence, making things tangible is pivotal. 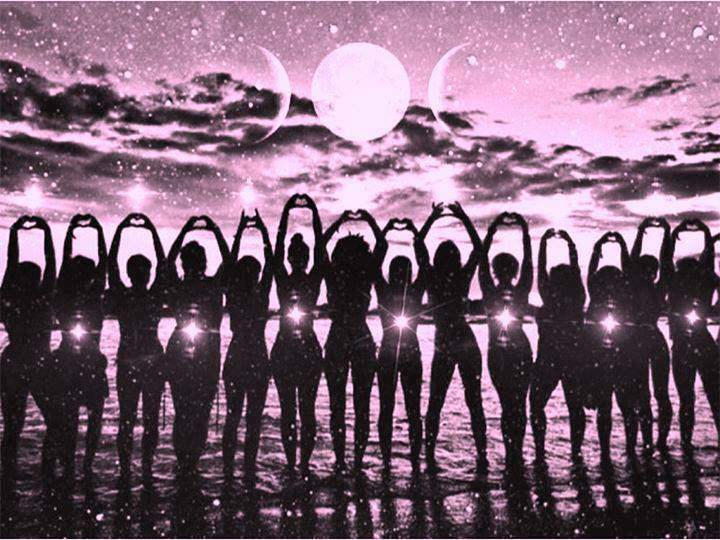 The frequency coming from the many alignments of this New Moon, is going to be of great assistance for those whose desire is to step out, be of service and create, by first building the strong foundations required, the new lives and jobs they truly desire to experience. At a macro or deeper level, there are many, as I previously shared, that are dedicating themselves, at this time, to a part of their mission which involves leading others to embrace their sovereignty. This is a very important phase for those who are devoted to group consciousness. By this term, I am not referring to collective consciousness, which is totally different, but to the devotion that many have to help other ascending souls who are beginning to walk on this path and that were meant to work together, at this transitional period. Becoming a leader or guide, is not as it is often believed, about being superior, being the only one with the gift to connect with the Divine or having this special mission, claiming to be the only one who can do so. The main mission of the ones who are in service is to help others reconnect with their True Essence, so they can become the sovereign free beings that they already are. Being a guide, leader or wayshower, it simply means that one has the responsibility, and gift, to help those who are passing now for what they experienced before, for this is the only way in which we can truly help others, by knowing by own experience what it is to pass through many challenges, until we master the egoic self - beginning to remember our true sovereignty and hence, Divine Origin. It is only after doing so and regaining the purity of heart required to follow a path that implies walking into the unknown, at all times, that we can act as wayshowers, guiding others in a path that we have walked before, for this is a path, as many of you know, that requires complete surrender and acceptance to all we experience, as we are no longer base our creations in egoic desires but in the decisions of our God Self, who knows best what is for our highest good, and that of All. Aquarius's essence, is more than just mere energies being poured to us during this New Moon. This frequency will be a catalyst in the process of self-liberation that many are experiencing and for others, it will help them into the retrieval of the wisdom required for them to give a new direction to their lives. Aquarius represents the phase twelve of our evolutionary progress within the Zodiac Cycle. It is the antepenultima stage, being the last one Pisces, for us to regain all the knowledge and experience required for reaching ascension. With this sign we begin to recognize our abilities, knowing they are only useful when shared and appreciated, for it is by being of selfless assistance that our presence and essence, in this Planet have true meaning and value. It is when we reach the wisdom residing in this sign that we have cleared ourselves from karmic records - beginning to allow a higher infusion of light into our physical bodies. Due to this process we finally step into a path of selfless assistance, where the focus is no longer put on egoic desires but in asking ourselves in what we can be of assistance. To do so, first we need to comprehend the nature of the abilities we came here to work with and offer to others. This is a time where we are being asked to lead, sharing who we are and taking the necessary steps towards self-sovereignty and hence liberation of the old. It takes courage, devotion to this path and to All to begin disengaging/dissolving lower aspects of who we think we are and embrace the True ones that have been hidden, as we continue to grow and expand ourselves. Those of you who are on this path know, for sometimes we barely recognize ourselves, as we are shifting in an accelerate way, and what the egoic self thought it was the true self, is not longer real. The Leo/Aquarius axis, for this intense integration phase began with the Eclipse in Leo, is for us to unify the individual aspect of us which is egoic, in nature, with the Divine One who loves All unconditionally and came here to assist. Leo is a very individual sign, Aquarius is about freeing ourselves from this separation and regain a higher perspective of our true origin and mission here on Earth. This is what will trigger in many, the desire to move from egoic individualism to group consciousness. As we are about to enter into the Pisces realm which is also all about transcending an old era and releasing more layers of the egoic self, this is going to be one of the most important passages of all this year to bring unification in who we are, as individual sources of the Divine, and in our mission of selfless assistance to All. One aspect of the mission of the starseed souls is to regain unity through polarity integration, for many of us already know, even though we have to activate these memories, what unity consciousness feel like, as we have dwelt in many civilizations/universes/dimensions, call it as you prefer, where we have had the opportunity to experience the feeling of unification and unconditional love. For many of us unity is intrinsically integrated within our soul blueprint, for as starseed souls it is part of our Essence, and therefore, mission, to come with certain codes that once incarnated will serve to bring back the lost sense of unity consciousness that is our true state of being. This is a time for many of us to begin moving from isolation and personal mission, in the way that is meant to be for us, as we all will continue to have our unique role to fulfill, and begin to connect with group consciousness, which are the ascending souls, some even part of our soul/galactic family, who came too as sovereign beings, to practice and help expand the Law of One. This is our main mission and even though, as it is my case, some of us are located in specific spaces, with a specific mission that involves walking a "solitary" path, we can all connect, for we are all united, in truth, with these group that came to act as polarity integrators. The more we commune with these souls that like us, came to work on an individual, at the same time that group mission, the more that we will begin to feel unconditional love, and the companionship of our light family, for we are never alone in our mission, we just have forgotten how to reconnect with those who are already One with us. The purpose of taking some time in our daily lives to commune with other ascending souls is to create a planetary unity field in which we project a universal unity code - beginning to seed the new template of unity, as the old one based on separation dissolves. To do this, it is required that we focus on neutral observation and from a compassionate space, first with ourselves and human experiences and secondly with others, we direct our intention to the conscious infusion of love and unity into the new earth timeline that already exists and that is no longer based on duality. Being neutral is one of the most important things to learn when we are working with polarity integration, for this is the first step towards regaining unity, in both within and with All. Every time we say we do not judge but we still think that what others do is not what has to be done, according to our egoic view, is still living in duality. Every time we spend time focusing on what we think is "wrong", we continue feeding the old system. It is not about saying, but about the feeling inside what can let us know if we have finally overcome all judgements or if we are still immersed within a dual reality. Experiencing a world of polarities is an opportunity to know ourselves and to master the aspect of us that finds separation in everything by fragmenting all that exists and judging it. This is not something that has to be healed or dissolved but embraced, as another created human illusion that needs to be comprehended. When we, even though we consider ourselves to be in this evolutionary journey, believe that others are not where we are and that are not evolving or simply are not coming from what we consider a true perspective, we are separating. We are considering ourselves superior and leaving behind the equal task these souls are doing. If these souls were not here showing us what separation is, we could not be here anchoring unity consciousness and experiencing as well what this fragmentation is about, for in a world of polarities all this is required. We all can assist by holding a pure and loving intention to bring peace and love to All. This is not about having an specific role which involves to do so or by training yourself so you can step out and being of assistance. We all can help each others, for we are One, connected more than we can comprehend, as humans. Ask yourself in what ways you can connect with the whole, wether physically or in your sacred space, and connect your consciousness to a greater One, beginning to operate from this unified state, remembering that in Truth this is who we are, not just an individualized aspect of Source, but all of it, and that it is only the illusion created in this dense plane, what makes us believe that we are separated from others. Everything that you think, feel and say, has a deep impact in the whole, whether you believe it or not. The nature of our existence is a holographic one, even though for our human self it can seem individual. Therefore love yourself, appreciate where you are and your unique human experience, knowing that there is no need to go outside and change anything, as by simply moving inward and shift what is fragmented within, you are contributing to bring healing to All. The message from this new energetic month of February as well as from this New Moon in Aquarius and the cosmic events surrounding it, is a loving reminder for us to stand tall in who we are. For we did not come here to compare ourselves with others or think we are more special or inadequate, but to honor All as equal, understanding that even though our Essence may be the same, our gifts, as humans, vary, and this is precisely where beauty truly resides. As sovereign, free beings, we already have within all we are searching outside, in other people, in outer forces... forgetting that we are, already, all that we admire, outside ourselves, and while we waste our efforts in trying to be who others want us to be or simply to do things as others do, we are dimming our unique Divine Spark, and the precious assistance we could easily give, get lost by the demands of our ego and its illusions. It is time for all starseed free sovereign souls, to stand firm in their unique Light - choosing only to listen the soft but constant voice of your soul, raising above the noises from your ego to keeps you enslaved in who you are not. You are already a free, wise and Christed being, dwelling into a limited human body for the purpose of being of assistance. You just have to recognize who you are and claim it. Your are forever protected, loved and appreciated within Creation, there is nothing more you should be or do other than being who you truly are. You are, always, working in perfect unison with your God Self and with the Forces of Light of this Universe and all multi-universes. Nothing is ever going wrong. You are a unique LoveLight being of the Divine - always One with this - unconditional - loving Source within you. You are a pure conduit for the Divine Truth to manifest through you. Yes, you are all this and more. The question is: are you ready to become the sovereign being that you already are, embrace your true power and stand firm in it? Whatever you choose, you are, always were, and will continue to be, a Divine Creator, in control of your human life experience. And So it is and it will, always, be so by Grace and in a perfect way for All. 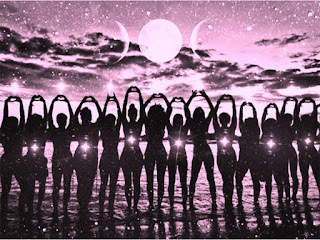 I wish you all a loving and liberating Moon Beloved Companions!